If you're an atheist, what wedding options do you have if you don't want to go through a religious ceremony in order to get married? The good news is that there are many secular options available for people who are uninterested or unwilling to have any of the traditional religious wedding ceremonies. They range from those that are elaborate ceremonies (but lacking religious elements) to celebrate your nuptials to those without any ceremony, such as with a Justice of the Peace at the local courthouse. Finally, there are options which are religious in name, but not really in the act. Couples have always had the choice of a purely civil wedding, performed by someone duly appointed by the state like a Justice of the Peace. All you need is a license and a couple of witnesses, and the latter are sometimes composed of whoever it happens to be standing around at the time, so you don't even need to bring friends or family with you. Of course, there won't be any need for any religious elements— it's just a simple statement of contractual vows which many ​atheists have found adequate to their needs over the years. Courthouse vows lack the ceremony and ritual which people (theists and atheists) have grown up believing are necessary for such a significant life event. 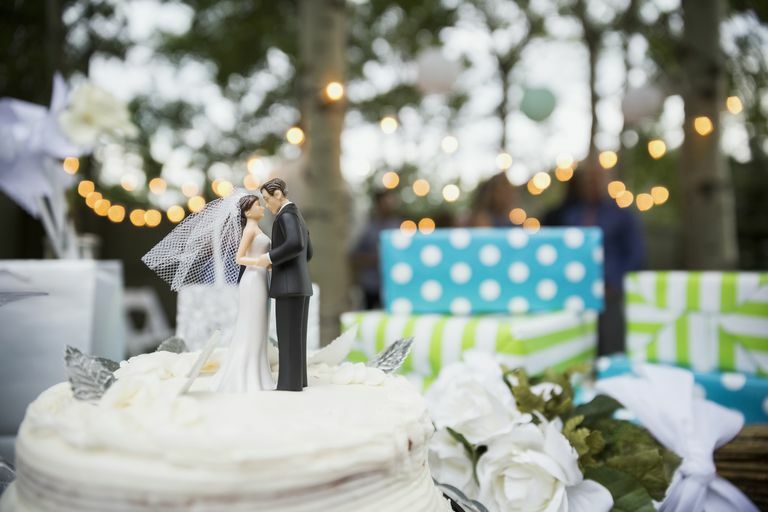 Most want something special done to commemorate the day - a series of rituals which will help mark the transition from two people who are single to being part of a couple. As a result, a number of non-religious wedding options which move beyond the simple civil wedding have developed. Some of these are religious in appearance or name, but not really in act. What this means is that the wedding itself may take place in a church and may contain many of the familiar rituals which have a religious connotation for some. However, there is no actual religious substance or theme to the wedding. There are no religious readings from scriptures, there are no religious songs, and for the participants, the rituals themselves have a wholly secular meaning. However, depending on the denomination of the church, it may take a lot of negotiation with the pastor or not be possible to dispense with religious content when the wedding is performed in a church or by a member of the clergy. Be prepared for this obstacle if you choose a church for a wedding venue. If you are strongly opposed to any religious content, it is better to choose a different wedding venue. Finally, there are also wedding options which dispense with the general trappings of religion entirely, even in appearance but are not quite so plain and simple as civil wedding ceremonies. Such weddings are normally referred to as humanist weddings. The vows are written by the couple or by a humanist celebrant in consultation with the couple. The theme of the vows will focus on topics like love and commitment rather than religion or God. There may be rituals (like a unity candle) which have religious meaning in religious ceremonies, but now have a secular meaning here. While you may be able to have a humanist wedding in a church, you can also choose from a wide range of wedding venues. You can be married in a commercial wedding chapel, park, beach, vineyard, hotel ballroom, or your backyard. You actually have far more choice of venue than those who wish to be married by clergy, who may require it be done in their church. Your officiant can be a Justice of the Peace, a friend who has obtained a license to perform weddings or willing members of the clergy. Humanist weddings are becoming more and more popular among atheists in the West. Such provide much of the emotional and psychological benefits which might be derived from, but without all of the baggage which can otherwise come along. Such weddings also provide a familiar context which can make it easier for religious relatives who might be disappointed with a simpler civil ceremony. So if you're atheists or just generally secular-minded theists who wish to get married, but are uncomfortable with the heavy religious elements of traditional church weddings, there are a growing number of options out there for you. They may not be as easy to find, given how ubiquitous religion is in modern American society, but they aren't as hard to find as they used to be, either. With a little bit of work, you'll be able to have a wedding that is as secular and meaningful to you as you want.